As you can imagine, I'm already done with all the school stuff besides learning. 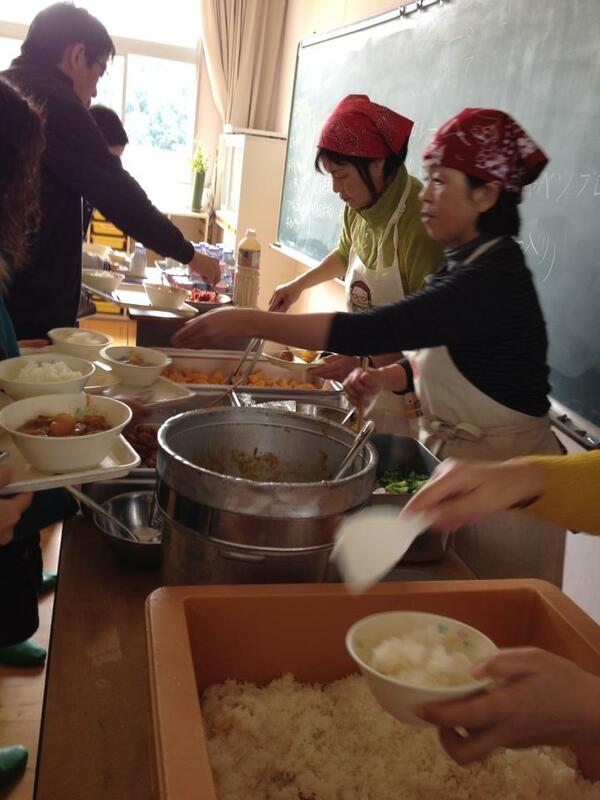 But on November 3rd, me & Tsubasa (our night duty staff) were back to the school kids again only for one day. We went to Kizugawa Art Festival at one abandoned elementary school in Kuzugawa city (I don't know where exactly it is but it is almost in Nara). What you could find there are many art works by young (could be old) Japanese artists placed everywhere in the school property. 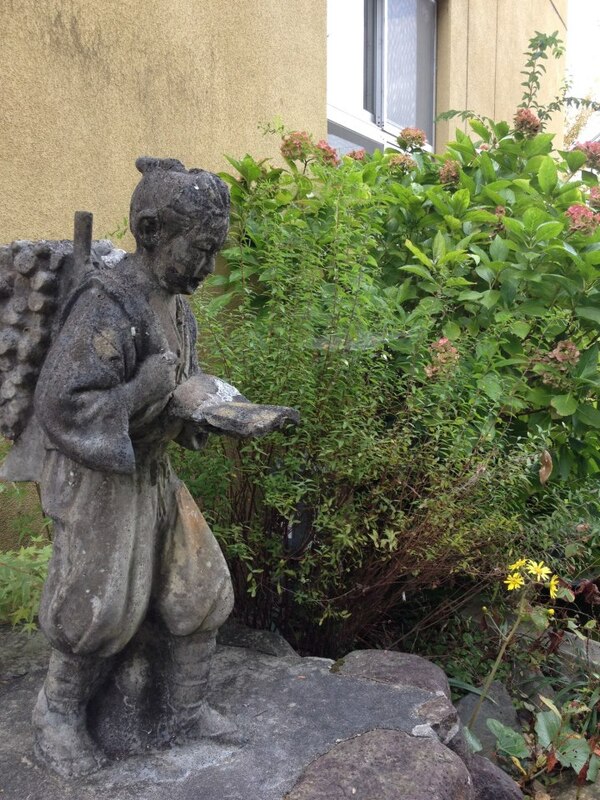 This is not a art work but is the typical statue can be sought basically every elementary schools in Japan. It is almost an art work in terms of its purpose of enlightening children. Anyway, the main purpose of ours was to have SCHOOL LUNCH!!! Me and Tsubasa were too excited and too hungry enough to forget to wear slippers, and went upstairs almost unconsciously for the school lunch! 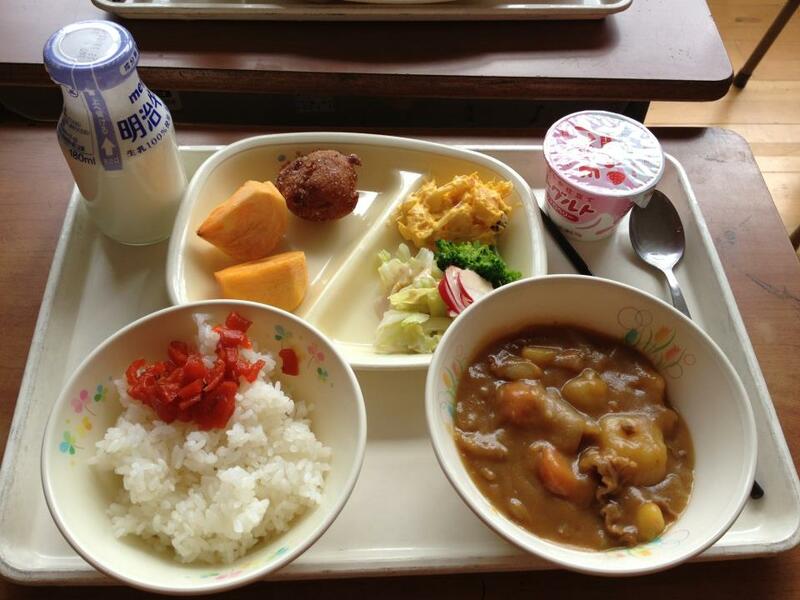 We were catered just like we had been before (This was the first Japanese school lunch for Tsubasa though). The main menu was Japanese style curry using local ingredients. This is what we got to eat! I tried milk for the first time in those 10 years after my graduation from junior high. And I double checked that I don't really like it so I just gave it to Tsubasa who loves it. This small donation during the lunch time was also nostalgic. After the lunch, we played a lot like school kids with swings, seesaw, and all the other art works. Never be able to make us physically small again, but this was definitely the day we were back to school days again! What a memorable day it was.